I'm about to start year 13 of my teaching career. Crazy right? I'm getting new furniture and so I've been trying to clean out my classroom even though I don't go back until September. I've been purging a ton of junk: outdated student samples and curriculum binders I've been hanging on to for years. Filtering through them left me thinking how much I've grown in my years of teaching. I wanted share some of the most important things that helped me become a better teacher. When we first start teaching, we replicate what we were exposed to in our own experiences as a student, in undergrad, or in our student teaching classroom. For the first five years of teaching, I didn't even know what was a priority for me. I simply followed the textbook and came up with assessments the night before I gave the test. I'm seriously, seriously embarrassed of the teacher I was circa 2005-2010. Thank goodness I encountered some amazing professional development sessions and a curriculum director who pushed me to evaluate my methods. I remember the day that my district World Language curriculum coordinator said that I could use the text, but then handed me a curriculum map that required IPAs (integrated performance assessments) and didn't even remotely follow the textbook sequence. Was I supposed to teach these concepts through osmosis? "Figure it out", she said. And, surprisingly, figure it out, I did. I discovered that I didn't need a textbook to teach. I found that I loved seeing what my students could DO with the language using IPAs rather than just what they KNEW ABOUT the language using traditional textbook grammar-based assessments. It's crazy to say that I've been using and refining IPAs for over a decade and I'm constantly improving not only the assessments themselves, but my daily teaching practices. The growth I've seen in myself and my students' abilities is incredible. Read more about my IPA journey here. If you want to try out IPAs, you seriously have to try this Greetings & Introductions IPA too start out the year! My kids love it and I know you will, too. When I got my first teaching job, I had just turned 22 years old. My students were mostly 17 and 18 and they ate me alive. To put it bluntly, I sucked at classroom management. Through no fault of their own, my students didn't respect me and I was an ineffective teacher as a result. Through experience, God's grace, and some thoughtfully implemented strategies, I'm now proud to say that classroom management is one of my best skills thanks to the CHAMPS model. If you haven't heard of it, the CHAMPS classroom management model is amazing and I detail what makes it unique and effective here. It made me reconsider all of the things I wanted students to do in the classroom and how I explained and upheld those expectations. Even if you're pretty good at classroom management, I really encourage you to look at CHAMPS and see how you can be even better! There's nothing better than a smoothly running class where everyone is doing what they should be doing. It improves your sanity, your effectiveness, and your students' learning. Want to improve your classroom management? To have your best year yet, I encourage you to read my "10 Classroom Management Tips for a Smooth School Year!" This is a horrible thing to admit. I can't believe I'm going to tell you my most embarrassing teacher truth. I didn't lesson plan, like at all, for the first five years of my career. GASP. I know. Why did I live such a stressed out existence for so long? The thing is, I was so overwhelmed at my first job, I didn't know where to begin. My school had 2 hour blocks 5 days a week and I had 3 different preps! I had to plan 10 hours of activities for each class and so I just decided to wing it. You can probably imagine that I wasn't the most awesome beginning teacher. Fast forward 13 years. Now I'm am an OCD type of lesson planner to the extent that I often have 2-3 weeks of lessons planned out in advance. After being so stressed out for years, I had a complete pendulum swing. The quality of my professional life, my sanity, and of my teaching is so much better. I started out using a super old-school lesson planning book that I just gave up this past school year because I could never find a digital system that worked for me. I'm pretty tech savvy, so my colleagues would audibly scoff at my lesson planning book. Enter Planbook.com. No, I don't work for them or get any sort of kickback, but I LOVE their lesson planning system. You can set it up any way you want, link to or upload files, and access it from anywhere, including the app on my phone. It costs a whopping $12 a year, but you can try it for a month for free. It's amazing how much better my teaching is now that I carefully plan out each day with a warm-up, various learning activities, a wrap-up. Plus, I constantly focus how these activities are going to help students achieve learning goals and the skills necessary to rock an IPA. It takes practice and patience and I'm definitely still improving, but the time spent lesson planning effective lessons is key. This isn't news to you as we all learn this in undergrad, but I learned the hard way. For the most part, I've been the only Spanish teacher in my building for the past decade. I've had a couple of part-time colleagues with whom I've been fortunate enough to collaborate, but I've missed having a partner. To avoid working in a vacuum, I made it a priority to find a PLN (professional learning network) where I could learn new things, bounce ideas off of others, and grow as an educator. I personally prefer Facebook groups (Spanish Teachers in the US is my favorite) and checking out different blogs that inspire me. 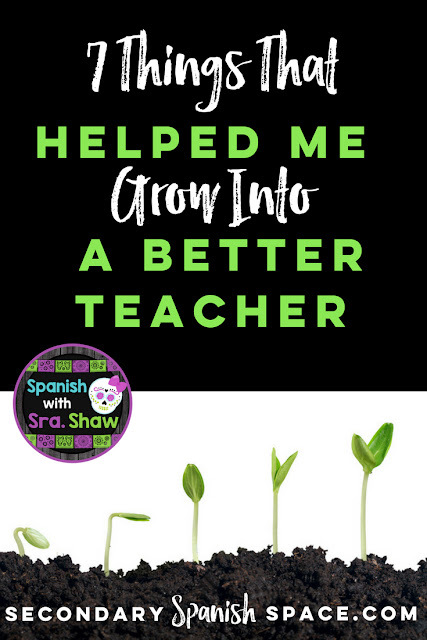 Our own Catharyn Crane (AKA Sol Azúcar) wrote an awesome post about how to collaborate with Spanish teachers on social media that you should check out if you need a PLN too! If you haven't already, find your digital tribe. My biggest professional fear is becoming out of touch with current trends in WL methodology so I want to immerse myself in current best practices and I know you do, too. You know what I didn't learn in undergrad education classes? That some of my best teachers would be my students. Students give us positive and negative feedback all the time, but it isn't always the easiest to hear. When students are doing well, we pat ourselves on the back and congratulate ourselves on a job well done, but learning how to help our kids when they're struggling is a whole different story. There are so many ways to get feedback from students, but it's important to find a method that works for you. I find formative assessment (exit slips, think-pair-shares, polls, etc.) to be particularly helpful and one of the least intimidating ways for students to tell us what we're doing well and when they need more support. Another option is to give explicit anonymous surveys, which I was once required to give as part of my evaluation. Some comments stung, but others were unexpected and helpful. If you've never given an end-of-term survey, I highly recommend it as you might learn a lot about how your students perceive you. I know most people hate evaluations and I totally get it. Most feedback we receive is punitive. However, if they're done correctly, evaluations should provide you with effective feedback from which you can actually learn. Honestly, in 13 years, I've only received beneficial feedback twice in my entire career, but when I did, it was inspiring and helped me grow. At my previous district, there were two contracted retired master teachers that came in and provided feedback to all non-tenured teacher. I absolutely thrived because not only was I hearing what was going well, but they described ways to do things even better. Each time I heard their recommendations, I tried to make sure I worked on those aspects of my teaching so that the next time they visited my classroom, I had improved. Now, I know this sounds like an unheard of scenario. 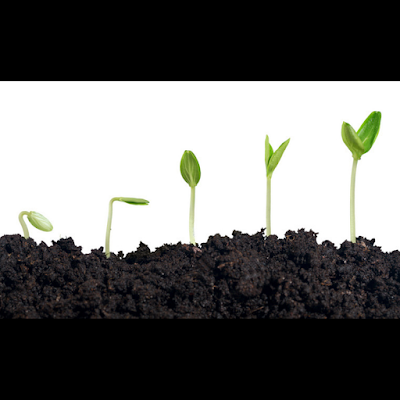 However, I've found that when we tell our administrators what we want them to look for and provide ideas of how to improve in these areas, we're more likely to get the kind of feedback we need to grow. If you're anything like me, when I started teaching I was so overwhelmed I didn't know where to begin. I didn't know how to organize my thoughts, my lesson plans, my students' papers, my teaching materials or anything else. I'd create activity files, but never organize them either digitally or in binders and then I'd have to completely recreate them the next time around. I had piles of papers to grade and no system for collecting, grading, or returning them. Things had to change. Every teacher has their own system and it takes a little guess-and-test to figure out what does and doesn't work. I tried so many different ways of organizing things before I finally found the perfect method to collect and pass back papers, keep track of all of the things I had to do, and organize all of my lessons. Doing so has helped me become more efficient so that I can spend my time doing valuable tasks instead re-doing things I'd already done.